Capture all of your wandering moments with a pocket style page when you craft with the Trailblazer 12" x 12" Double Sided Paper by Heidi Swapp. 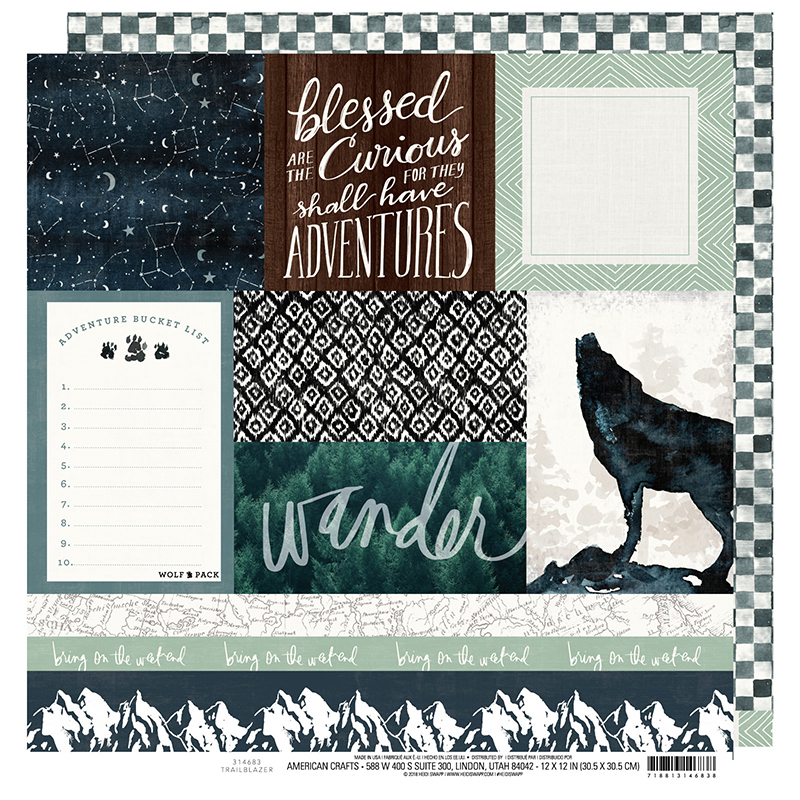 There is one sheet of paper included in the package that has cutouts on one side of journaling spots, a wolf, constellations and more; the other side has a gray check pattern. 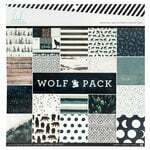 The paper is part of the Wolf Pack Collection.